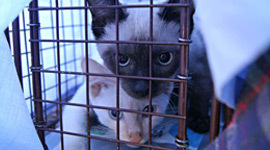 Your gift to Fall For Felines will enable ADLA to help outdoor cats in need throughout Maricopa County. You can be assured that more than 90% of each dollar you donate goes directly to program services. No organization is able to do so much for animals with so little, but we can’t do it without you. To give through PayPal, or to pay by mail, click here. Print and mail a donation form to our administrative office.